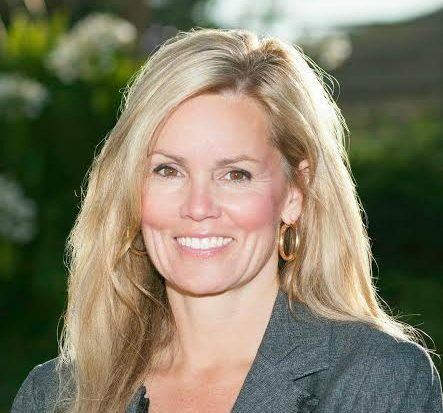 San Luis Obispo County 4th District Supervisor Lynn Compton announced plans to run for a second term on Friday, a sign that the 2018 campaign season is under way. After her former campaign manager John Peschong won the District 1 supervisor seat, Compton turned to Justin Salters to helm her current campaign. Salters comes on board as Compton launches an aggressive fundraising schedule this summer in advance of what’s expected to be a hotly contested race for a board majority. The SLO County Progressives have prioritized moving one of their members into the District 4 supervisor seat. In 2014, Compton received 53.5 percent of the vote leaving then incumbent Caren Ray with 46.3 percent. The district is composed of 42 percent Republicans, 33 percent Democrats, and 21 percent declined to state. Since her election in 2014, Compton has successfully battled with supervisors Adam Hill and Bruce Gibson over spending public facility fees on parks and recreation facilities in District 4. Prior to Compton’s election, Hill and Gibson had spent public facility fees generated in Nipomo for projects in their districts. In addition, Compton helped broker an agreement to build a new sheriff’s substation in Nipomo and a new county animal shelter. She has also opposed tax increases and changes to Proposition 13. For more information about Compton’s campaign for re-election, go to her campaign website. I fully support Ms. Compton for re-election. But please give us all a break so that we don’t have to hear about the dog fight that will be going on for over a year until the 2018 election. Thank you for your hard work and SELFLESS devotion. I had truthfully given up as to good local government. You are truly a breath of fresh air. You will surely win another term. You go girl! Just make sure that EVERYONE knows that Supervisor John Peschong (the puppet master) is controlling the vertical as well as the horizontal rendering Adam impotent. Synonyms: derision, mockery, ridicule, scorn. Where do I send my campaign donations? Me too. While I don’t live in the 3rd District, I appreciate good governance and public leaders who care about the average citizen. It is not about right or left, it is what is best for the people in District 4 and the county. Lynn Compton has worked hard to bring parks to Nipomo. She listened to those worried about Stewart Resnicks clear cutting of trees. While Bruce Gibson attempted to pass an ordinance that would have required a property owner to get county permission to take out a few trees, Compton fought for a reasonable ordinance that protected property rights while stopping another mass clear cutting. Compton appeals to those in her community seeking a thinking supervisor rather than one who blindly votes for issues based on partisan political views. Let’s hope the SLO Progressives select Wacky Lacki! Compton is excellence personified. Acting with thoroughness and political grace she has successfully restored balance to the County’s budget in recognizing the needs of the 4th district. She has also been influential in restoring the balance of the County Supervisors that in the past have been dominated by Hill and Gibson. She deserves reelection for her A+ performance. We need her re-election to balance the board and keep Hill and Gibson in their places!! !